Reader Tony Eales from Australia sent us a passel of arthropods. His notes are indented. I found another of the Whip Spiders (Ariamnes colubrinus) that I sent in recently. 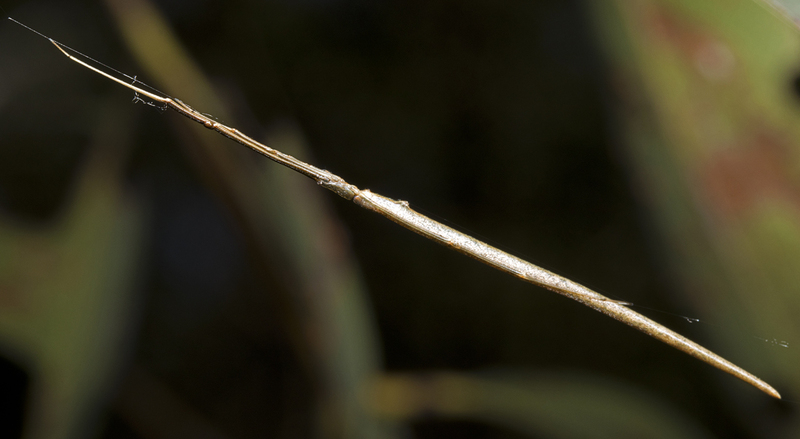 This one shows how their elongated bodies provide great camouflage. I came across a scene of a White-tailed Spider (Lampona cylindrata); actually there’s a lot of confusion over both the genus and species of these spiders) stalking a House Spider (Badumna sp.). Apparently they are obligate spider eaters and Badumna are a favourite. White-tails have an unfair bad reputation. 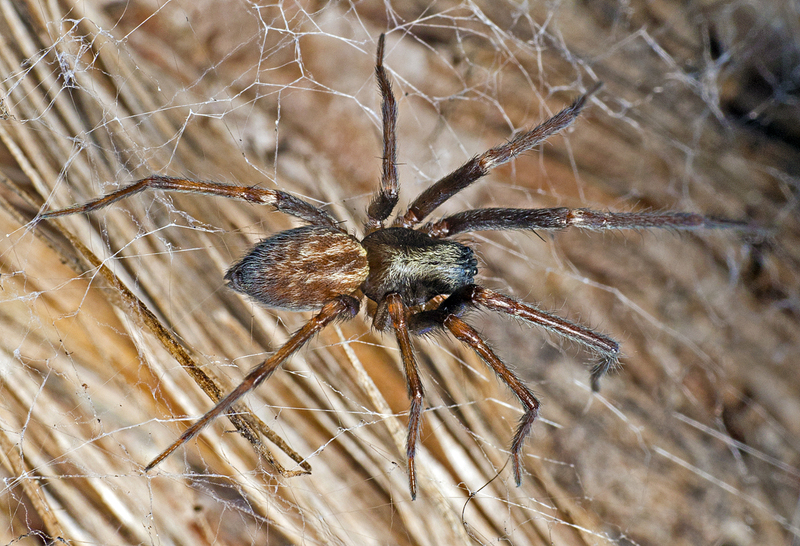 It’s widely believed that the bites of White-tailed spiders cause a necrotising ulceration, but research indicates that this is a myth. As a result they are reviled and feared. 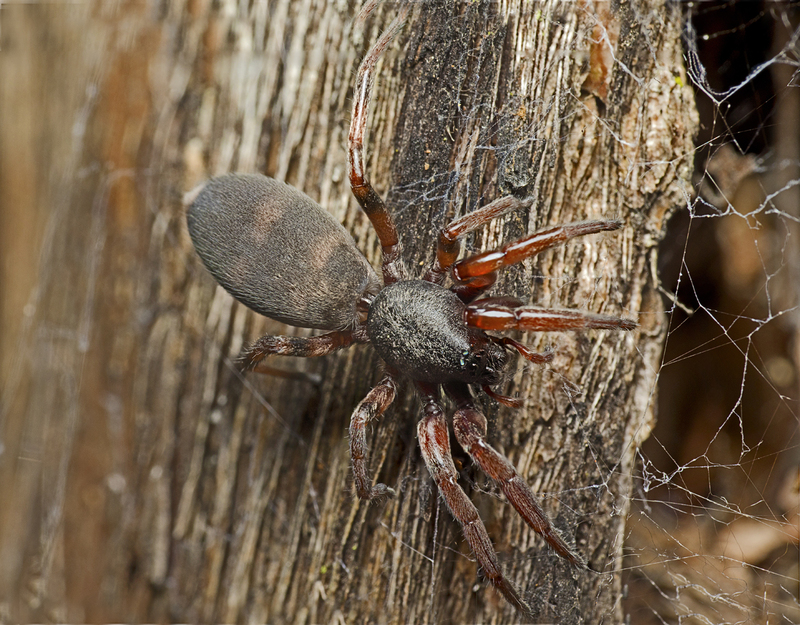 They are aggressive and will bite if they feel threatened and are common in houses in some parts of Australia. I startled this Mantispid Lacewing right into a spider-web. I rescued it and it thanked me with a great photo shoot. It’s probably Ditaxis biseriata but these are really hard to ID. This is one of my favourites. 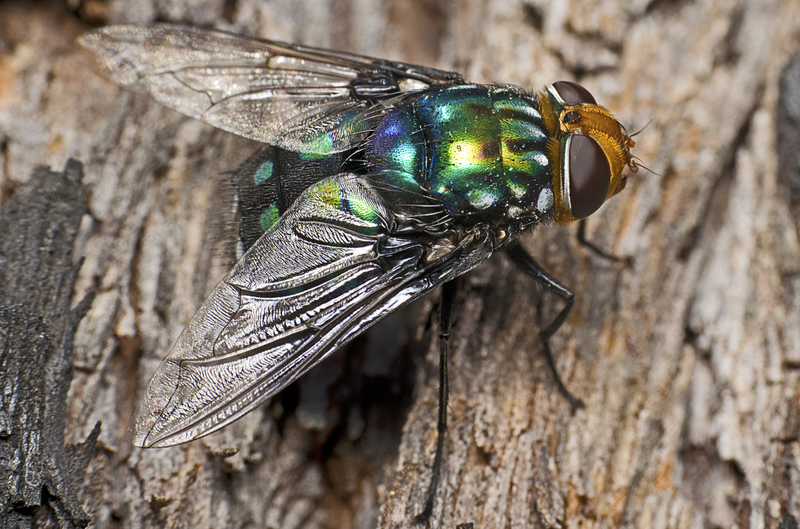 It’s a large Tachinid fly whose larvae are parasites on snails. They’re impressively coloured and about the size of a small grape. Apparently they are impossible to properly ID without a microscope, but this one is in the genus Rutilia (Ameniamima) sp. 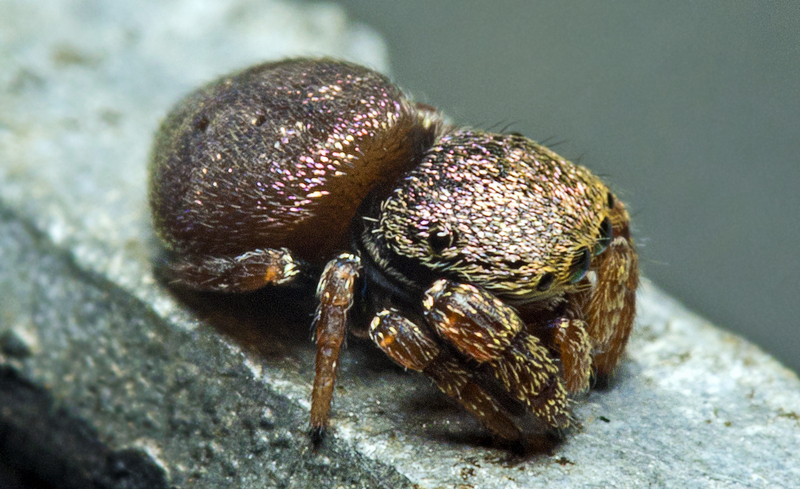 Lastly, a cute and teeny-tiny jumping spider. Again ID is difficult. It’s either Simaethula aurata or S. auronitens. They’re so tiny: only about 2mm max. 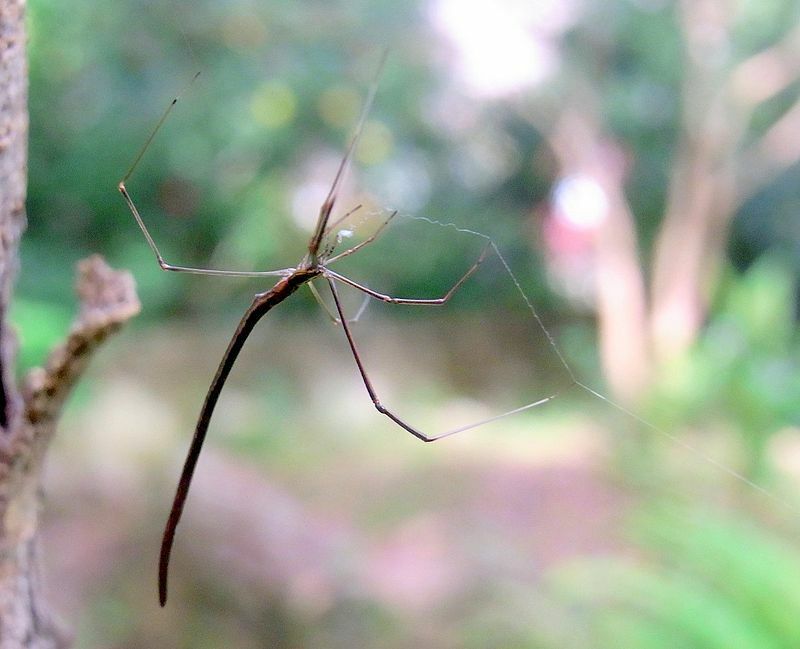 This entry was written by whyevolutionistrue and posted on September 16, 2018 at 8:30 am and filed under arthropods, insects, insects and other arthropods, photography, spiders. Bookmark the permalink. Follow any comments here with the RSS feed for this post. Both comments and trackbacks are currently closed. Excellent images. The colors and textures are quite vivid. 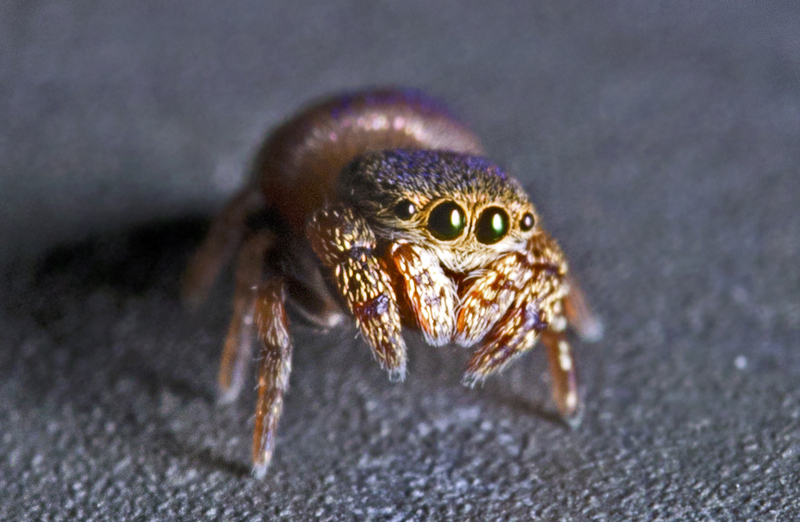 The tiny jumping spider appears to be stifling a giggle. That is one impressive fly! The spiders are nice too. Thank you for the great photos and interesting notes. Delightful arthropods. I vote for the lacewing. Right out of a Hollywood monster lab. 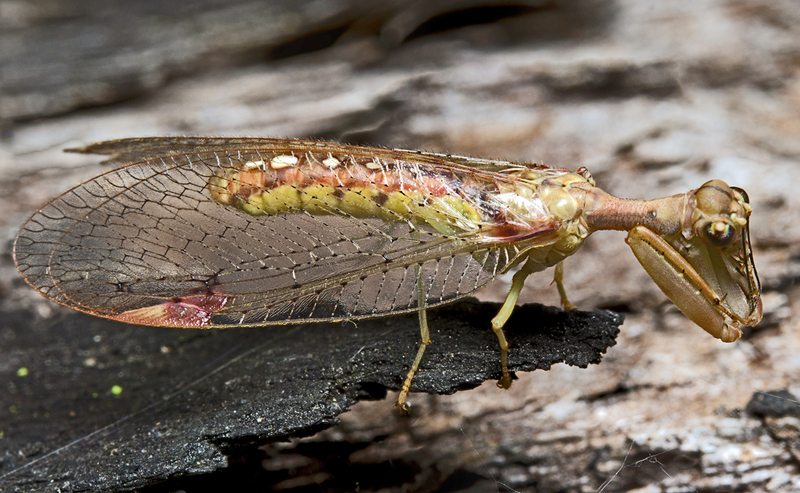 Jesus wept, are those mouth parts on the lacewing?! Do you mean the front legs? Yes, I did, but then I looked at a video and saw that they are legs that they fold up like that. Would still make a great horror flick. Yes, a little like praying mantis. They are a bit freaky at first, aren’t they, like ginormous mandibles. For you jumping spider fans, you might enjoy Lucas the Spider on YouTube. A mighty fine collection of photos today. That lacewing was wild! 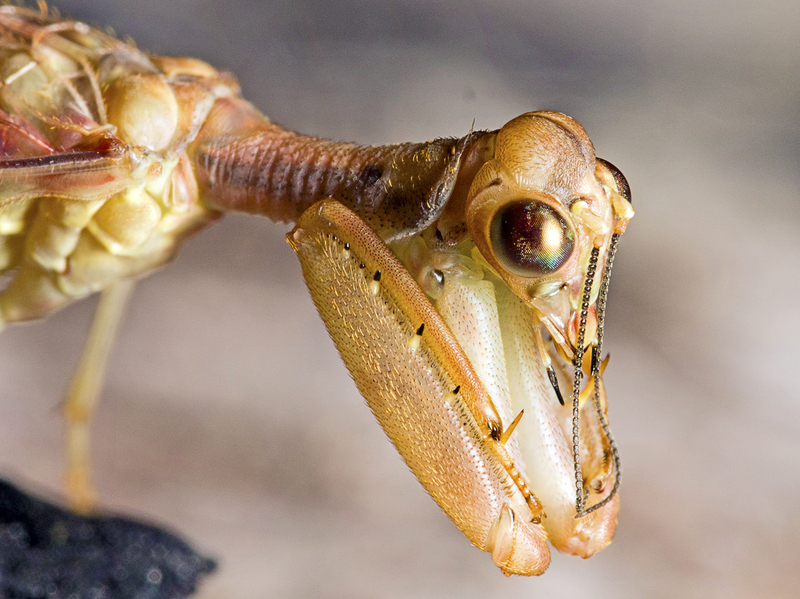 Preying mantis mandibles? Late to the party. Great stuff! I really enjoy your pictures and commentary. What is interesting with your Mantispid is that it has feet on its front legs. They are described as not having those, so they don’t generally walk with those legs. But as always, there must be exceptions I suppose. These are beautiful photographs, along with nice descriptions. Appreciate the extreme close-ups so I can really really see how the critters are constructed!